Dr. Steven Gundry generated quite a buzz when he released his 2017 book The Plant Paradox. Dr. Gundry hypothesizes that traditionally healthy plant foods high in what are known as lectins can have negative health consequences, hence the paradox. He cites lectins as the root cause of autoimmune disease, inflammation, and leaky gut syndrome and recommends limiting or removing them completely from your diet. Conversely, Dr. Joel Furhman recommends that lectins should only be avoided in specific cases – by those with specific allergies or conditions that affect intestinal health – not by the population at large. Dr. Furhman notes that the documented benefits of the nutrients, phytochemicals, and fibre in lectin containing foods outweigh any purported negative effects (Furhman, J., 2017). It’s difficult to know where to stand in the sea of contradictory and controversial information out there. Let’s give you the lowdown on lectins so you can decide for yourself. Lectins are a type of protein that can bind to carbohydrates in the body and interact with human cells. It is believed that lectins serve as a form of natural insecticide for plants to dissuade fungi, insects, and diseases from ravaging them, promoting the plant’s survival (Berg, J.M., 2002). Nightshade vegetables: tomatoes, potatoes, and eggplants. Our digestive enzymes are unable to adequately process lectins, so they travel through the digestive tract largely unchanged. Lectins have been studied for their susceptibility to bind to intestinal cells, which can increase the permeability and porousness of the small intestine – also known as having a leaky gut. Due to this increased porousness, this may allow lectins to enter the bloodstream through the intestinal wall where they can cause an inflammatory response in the body (Vasconcelos, I. M., 2004). With that said, the majority of studies completed on the effects of lectins have used isolated lectins, and have been completed on animals or in vitro (Kelsall, A., 2002). Further study is needed on the interaction of lectin containing foods in the human body. Not necessarily. 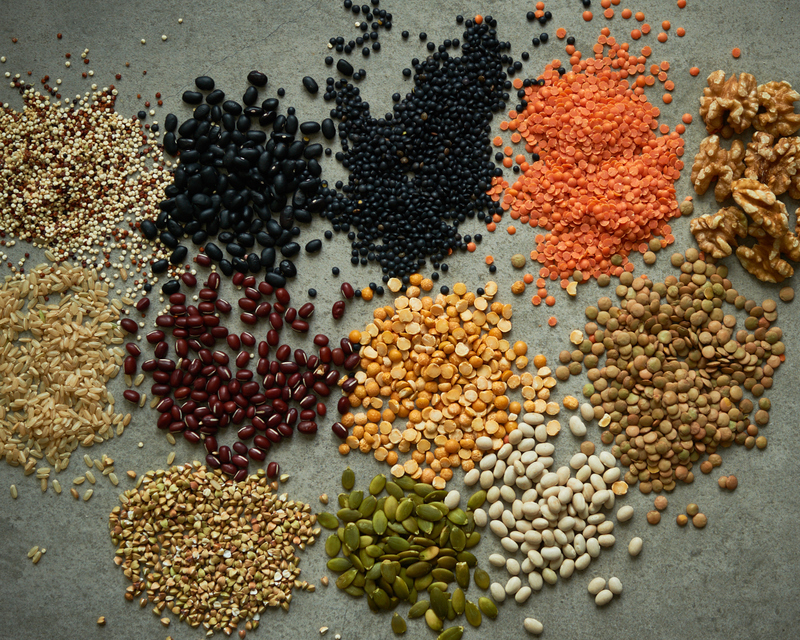 Avoiding large amounts of lectins may be beneficial for those with with gastrointestinal and inflammatory conditions such as IBS, Crohn’s disease, rheumatoid arthritis and autoimmune diseases (S., Damgaard, 2014). Yet many lectin containing foods have been studied for their potential disease preventing properties (De Mejía, E. G., 2005). Legumes, nuts, and whole grains are excellent sources of soluble fibre, which is beneficial for digestion, weight management, and maintaining healthy cholesterol levels (Kotalik, S.A., 2005). Nightshade vegetables like tomatoes contain carotenoids and phytonutrients that have also shown beneficial effects for our health (Story, E.N., 2015). However, consuming a high amount of lectins – often present in improperly cooked or raw beans – can be toxic to humans and cause gastrointestinal effects like flatulence, nausea, vomiting and diarrhea. The lectin phytohaemaglutinin, which is present in high amounts in raw red kidney beans has even caused multiple cases of food poisoning (Freed, D. L. J.,1999). The good news is that these effects can be eliminated through utilizing proper cooking temperatures and methods. Health Canada recommends boiling kidney beans for at least 10 minutes, or soaking them for an extended period of time before cooking (Government of Canada, 2011). Below are some cooking methods you can incorporate to minimize and reduce lectins in foods you love, and avoid potential digestive distress. One of the ways to reduce lectins and other irritating compounds from legumes, nuts, and grains is through soaking. This not only improves digestibility, but decreases their cooking time. Soak beans and grains with 2-3 times their volume in warm water incorporating an acidic medium like lemon juice or apple cider vinegar. Allow to soak for 12-24 hours at room temperature. Discard the soaking water and rinse thoroughly before cooking. Utilizing a method from Nourishing Traditions, nuts can be placed into a medium sized bowl with warm filtered water and a bit of salt (1 tsp per 1 cup of nuts). Leave them to soak overnight (7 to 12 hours depending on their size), and thoroughly rinse with water. If you are adding nuts to a smoothie, you can use them right away. However, it is recommended to dehydrate them in a low temperature oven or a food dehydrator until they are completely dry and crisp. Tip: You can alternatively add baking soda to your soaking water for beans. A 1985 study found that by doing so can reduce some compounds in beans that cause an upset stomach and flatulence (Jood, S., 1985). Cooking beans from scratch can dramatically reduce their lectin content and improve their flavour. Using an electric pressure cooker is a definite time saver. If you have one on hand it can even eliminate the need to soak your beans beforehand. Refer to Instant Pot’s cooking time and temperature chart as a resource to determine an appropriate pressure cooking time per variety of bean. Alternatively, you can cook your beans on the stovetop. Following soaking and rinsing, bring your water and beans (generally a 3:1 ratio) to a rapid boil in a large pot. Reduce water to a simmer and cook until tender; anywhere from 1 – 3 hours depending on the variety of bean. Be sure to skim any foam that rises to the surface of the cooking water and discard. Tip: Adding kombu – a sea vegetable that is rich in minerals like magnesium – to beans while they’re cooking not only imparts a rich, umami flavour and a nice texture. It may aide in breaking down the fibers of beans, increasing their digestibility. A 2002 study discovered that fermenting lentil flour for 72 hours in water that was 42 °C showed a 98% reduction in its lectin activity (Cuadrado, C., 2002). Fermentation is one of our oldest methods of processing food. By definition, fermentation happens when the carbohydrates (starch and sugars) in a food item are broken down by microscopic bacteria, molds, or yeasts and transformed into acids, gases, and alcohol. This makes fermented foods easier to digest, and high in beneficial bacteria to contribute to our gut microbiome. Sourdough bread has seen a huge resurgence in popularity and is often touted as a way to increase the digestibility of bread for those who are sensitive to traditionally refined supermarket loaves. Using wild yeast or a sourdough culture to leaven bread may seem intimidating to the novice cook, but is a very traditional method of preparation that fell by the wayside in the age of industrial food preparation. Sourdough starters are equal parts flour and water mixed together in a large container and left to ferment at room temperature for approximately 7 days (with subsequent daily additions of flour and water called “feeding”). Once your starter is complete, you can add it into bread recipes. Tip: Nourishing Traditions has excellent recipes for a starter culture and bread, and The Perfect Loaf has an excellent post on all things sourdough for beginners; it’s definitely a labour of love! What are your thoughts on lectins? Drop us a line to let us know. Freed, D. L. J. (1999). Do dietary lectins cause disease? : The evidence is suggestive—and raises interesting possibilities for treatment . BMJ : British Medical Journal, 318(7190), 1023–1024. Rodhouse, J. C., Haugh, C. A., Roberts, D., & Gilbert, R. J. (1990). Red kidney bean poisoning in the UK: an analysis of 50 suspected incidents between 1976 and 1989. Epidemiology and Infection, 105(3), 485–491. Vojdani, A. (2015). Lectins, agglutinins, and their roles in autoimmune reactivities. Alternative Therapies In Health And Medicine, 21 Suppl 146-51.